Aren’t they though, Aftab? They may be cockwombling under the radar but they’re still just cockwombling. How do Biffers travel to their marches? You’re getting a little too wound up about a group of cockwombles for whom ‘there’, ‘their’ and ‘they’re’ remains a constant struggle. Chill! Their fucknucklery will ensure that no one believes they’re anything but a bunch of crayon munchers. 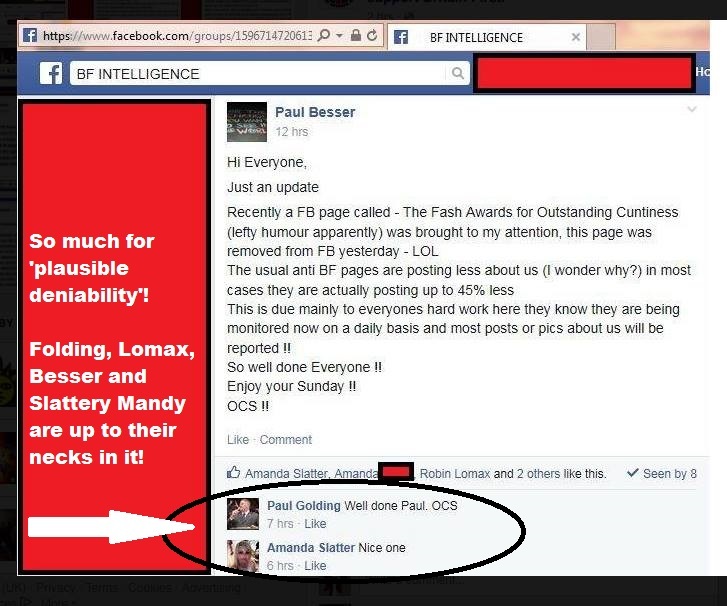 Oh, I wondered what had happened to the Fash Awards For Outstanding Cuntiness. What bloody killjoys those biffers are! That’s another thing I find so unappealing about those lot: A lack of sense of humour. They can’t just put their hatred and bitterness aside to have a chuckle every now and then. Politics is serious business for them. 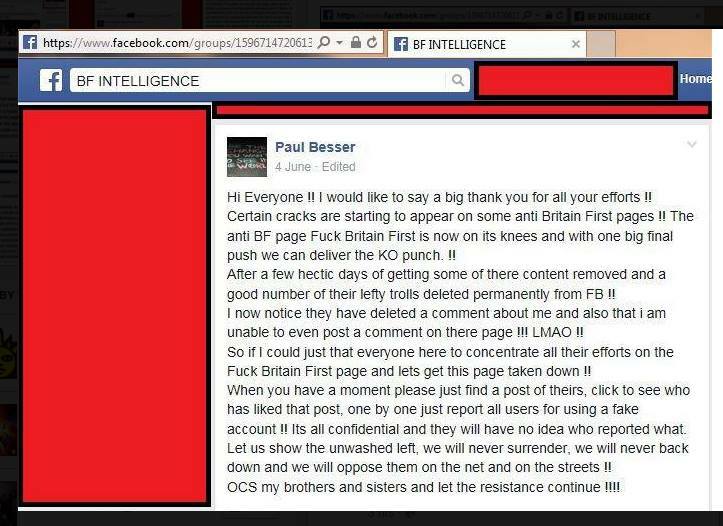 I think Thomas who writes the blog “Another Angry Voice” was spot on when he said that BF are a closed ideology chamber – now they are taking further by removing pages and people that laugh at their expense. 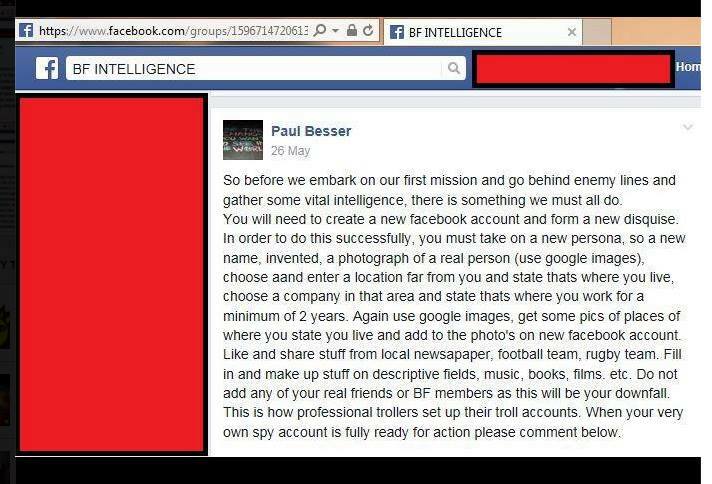 Do you know if this Paul Besser has targeted your page yet, ebf? 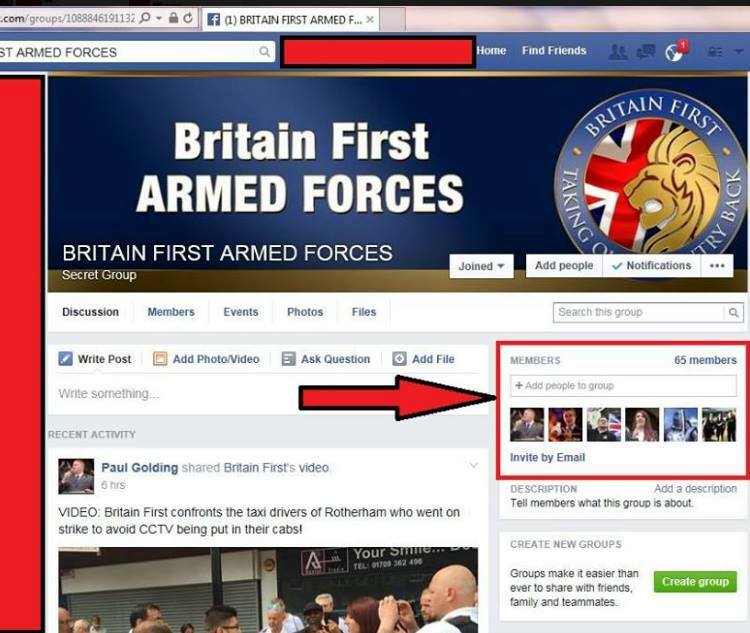 So genuine profiles are being reported but a whole host of evidently racist FB pages ‘don’t contravene community standards’ and don’t get removed? I think FB algorhythms have a lot to answer for. Surely these screenshots can be used as proof as misuse of communications act, to the police? Surely this is organised cyberbullying and isn’t that one of Cameron’s big new laws being cracked down on? 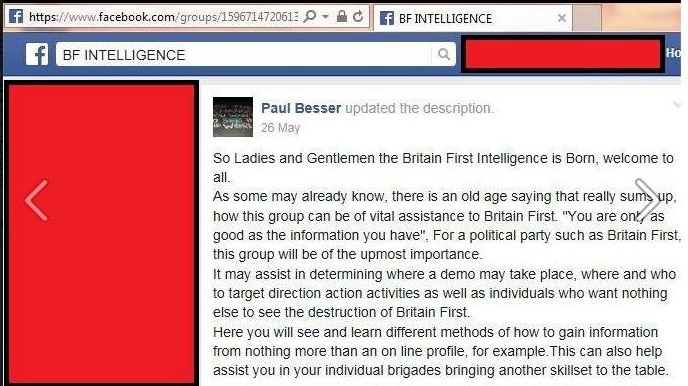 Intelligence page for biffers – an oxymoron if there ever was one hahahahaha!